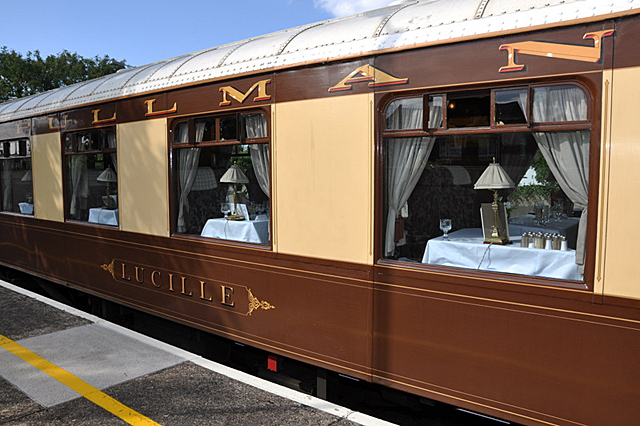 A day trip on the Orient Express’ sister train, The British Pullman, transports passengers to a golden age of travel where life is slower, gentler and more refined. As soon as one steps onto the gleaming brass footplate and into the elegant umber and cream liveried carriages the bustle of Victoria Station dissipates and a calm prevails. The eleven beautifully restored carriages are buffed and burnished to perfection. Each has its own colour-scheme and personality and with seats that are capacious, high-backed armchairs. Walls are panelled with intricate marquetry and adorned with mirrors, shining brass luggage racks, sconces and pretty lampshades all restored to its original glory with remarkable attention to detail. Service is impeccable yet relaxed and the food, which is prepared in the tiniest galley kitchen, is British seasonal best, cooked to perfection and beautifully presented. 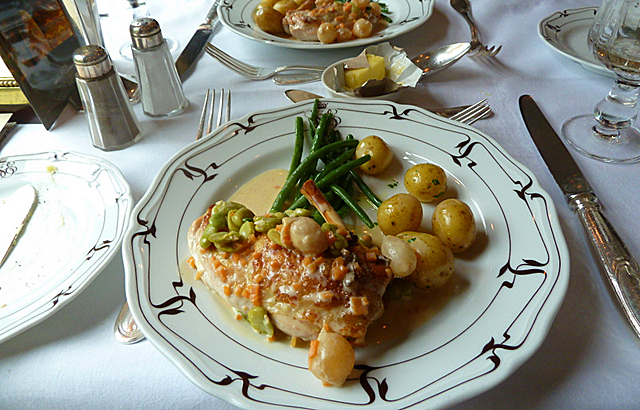 The four course meal is delivered immaculately in silver-service style by a charming steward in crisp white and French Navy attire and despite the occasional joggle of the train not a drop is spilt. At the seaside town of Whitstable a jazz band strikes up and the train pulls in and there’s an opportunity for leg-stretching accompanied by a fresh Whitstable oyster or two and a Bellini. Back on board dessert is served before the return journey to the city. 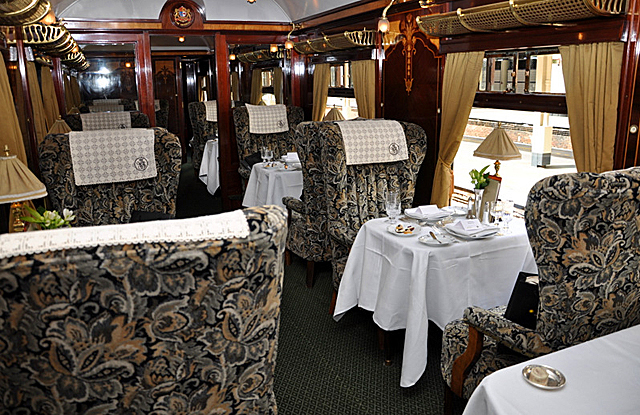 A ride out on this legendary train is a moveable feast of vintage luxury, fine dining, and exquisite surroundings – just the ticket! That brings back some lovely memories! Thank you so much for sharing your experience and your lovely photographs. I remember reading Suzanne’s post about this and promising I’d get around to doing it – still haven’t managed it yet but thanks for the memory nudge! Look forward to hearing about it and seeing your photos when you do! 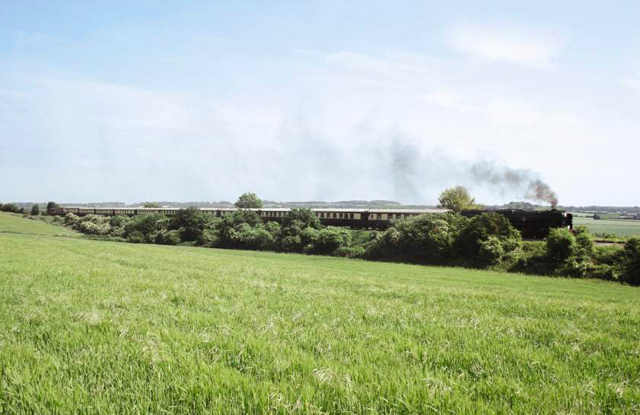 I love steam trains and this does sound a very special experience.